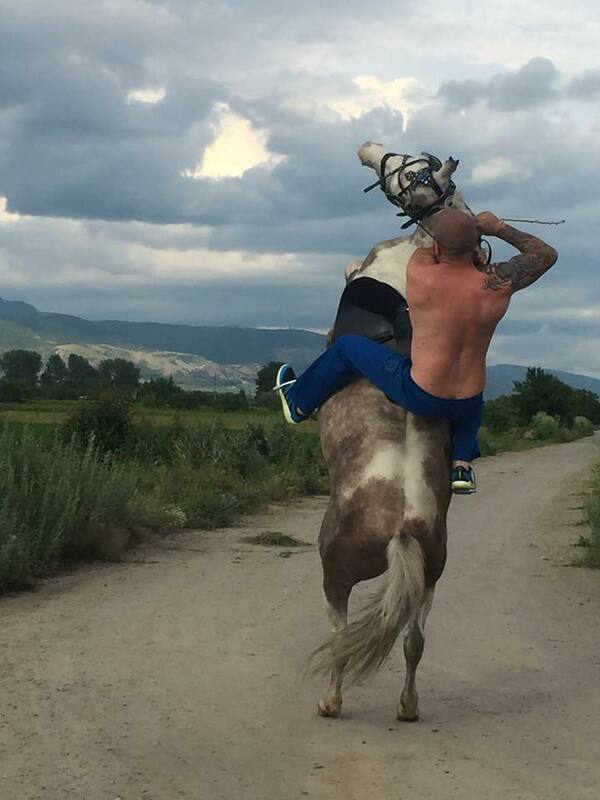 Meet Dinko Valev: A 29-year-old Bulgarian wrestler vigilante who patrols Bulgaria’s borders on horseback. He’s a bounty hunter who rounds up immigrants trying to cross the country’s border with Turkey, and ISIS has placed a £38,000 price on his head. Valev runs a team of equally beefy enforcers who patrol the border in armoured vehicles. When they come across migrants, they arrest the refugees and hand them over to authorities. Napadnaxa me s dumi nqkvi za alax no dobre che imam opit i…. He’s apparently so famous in Bulgaria that he’s been able to buy a Mercedes S-Class worth at least £72,000. He’s even been offered a place on the country’s version of Big Brother for £66,000, the Daily Mail reports. But his deeds have caught the attention of ISIS, who want the 29-year-old dead. 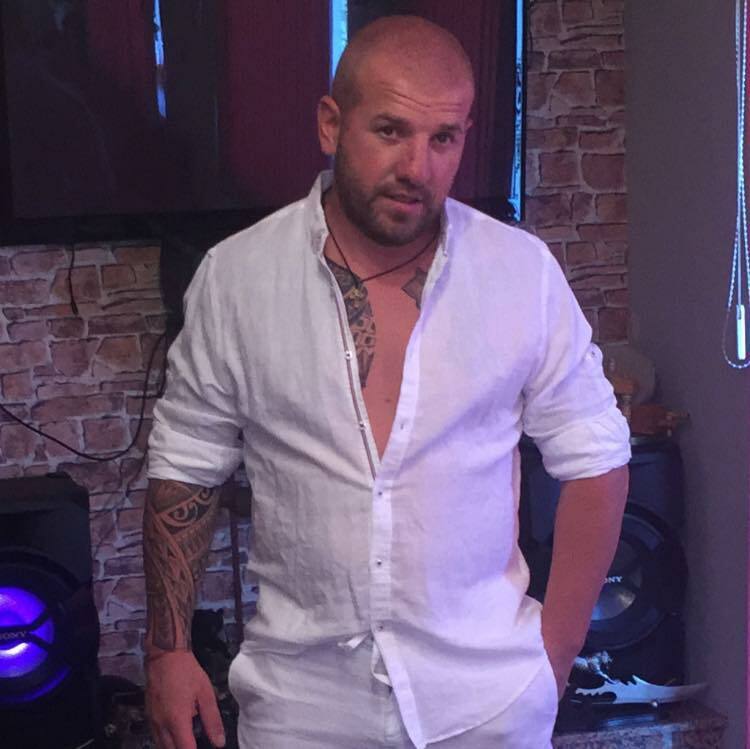 And after images of him arresting migrants emerged, Bulgarian state security services have warned Valev that he is a prime target. Messages on an ISIS site called him the ‘leader of a paramilitary unit operating on the Bulgarian–Turkish border along with a dozen other men’. They went on to promise a reward if confirmation of his murder is provided. 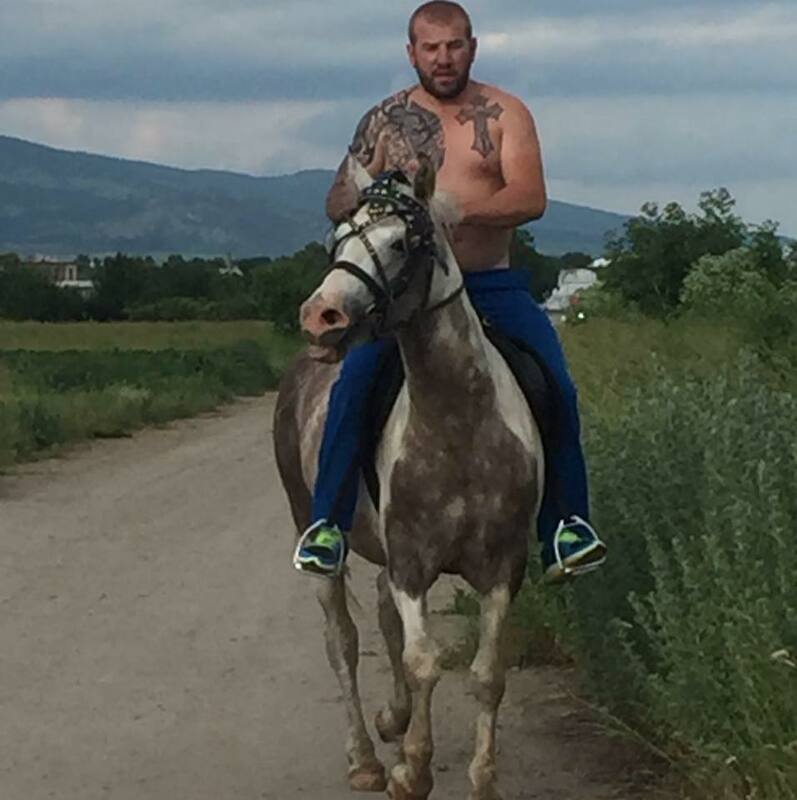 But Valev has defended his migrant hunts as ‘sport’ and a ‘public service’. I would describe it as simply a sporting activity. I am a sportsman, you can’t describe sportsmen as violent. I have to do a public service at the same time that protects Bulgarians. He even has the backing of the country’s prime minister. I personally have talked to them and thanked them. I sent the director of the Bulgarian border police to meet with them, so they can coordinate what they do. At the end of the day, the country is ours and we should be united. Human Rights committees, however, don’t seem to agree. Either way, I wouldn’t want to mess with Valev.